They write as Easyjet were about to start their Montpellier to Gatwick service on 2 May and they reckon that last year 81,355 passengers were brought into Montpellier by Ryanair. Norman Pajet the British Consul in Montpellier says that the boom years for those moving here were the mid. 1990's and it's been increasing at a rate of 20pc since the year 2000. They also mention that there are 100,000 Brits in France - mainly in the Dordogne and the Cote d'Azur. 2069 and 108 for all the Herault. As well as: 639 Germans, 443 Belgians, 207 Swedish, 169 Swiss, 128 Dutch, 55 Austrians, 49 Czech, 49 Norwegans, 49 Finnish, 48 Luxemburgers (? ), 45 Danish and 26 from Iceland. ...just visiting your blog as I discovered your profile and professional site via the PIG blog. 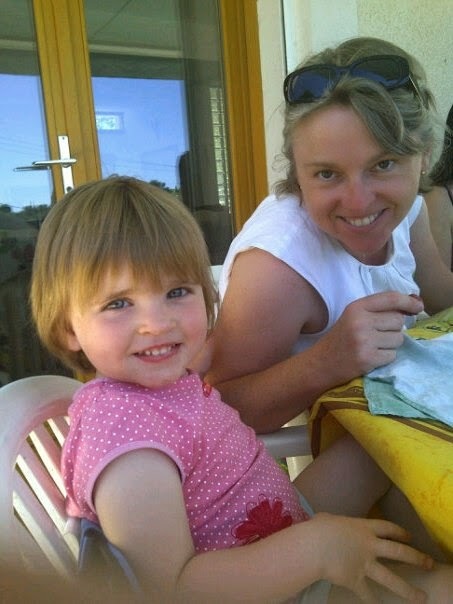 I am American in Marsillargues, near Lunel, and have lived in France for over 10 years now. 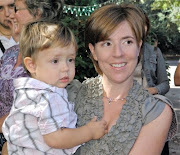 Married to a lovely French man, I am the happy mummy (currently on congé parental) of Elena who is 13 months old. Will you be going to the next PIG meeting after the school holiday? It's next Wed. I would love to learn more about your French Help Services business as well as your association in Nimes.